Decorating cupcakes is one of my greatest joys. 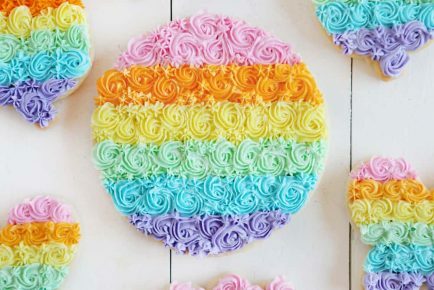 Follow my simple tips and tricks to make beautiful cupcakes for any occasion! 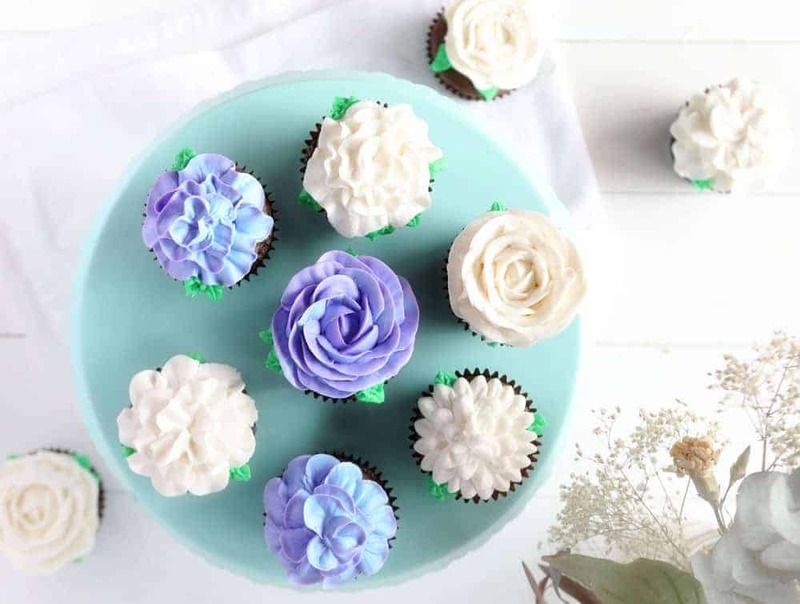 Be sure to use my perfect Cupcake Frosting for the beautiful cupcakes that taste amazing! 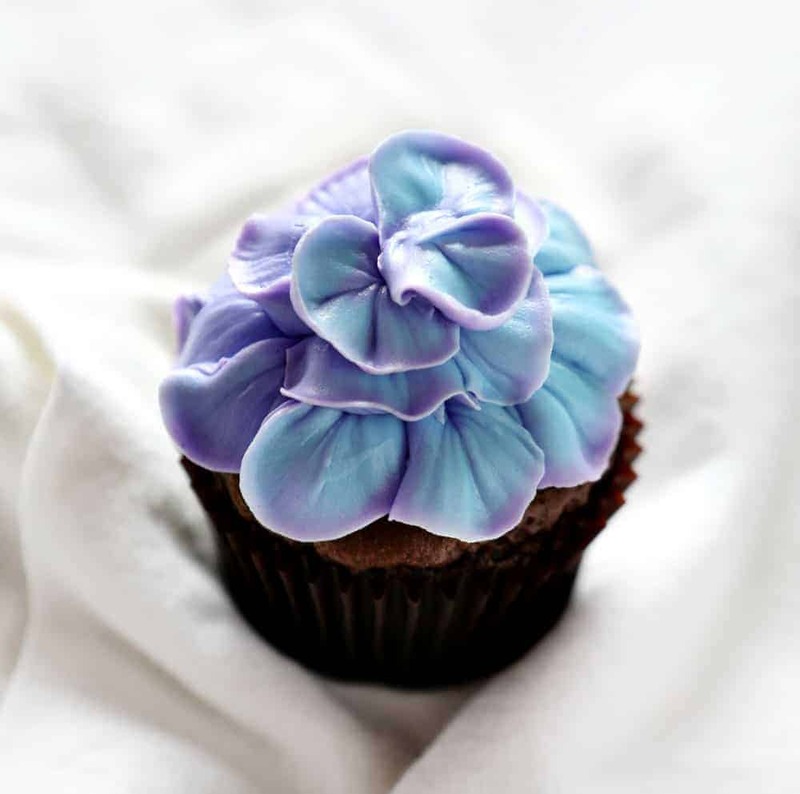 Using a piping bag fitted with the #104 tip and purple icing, begin by piping one petal on to the outer edge of the cupcake. Start near the center, apply pressure to the bag and gently rock your wrist up and then down to create each individual petal. Continue piping overlapping rows of petals. This could also be referred to as a Carnation, but might look better with a soft pale or white buttercream. 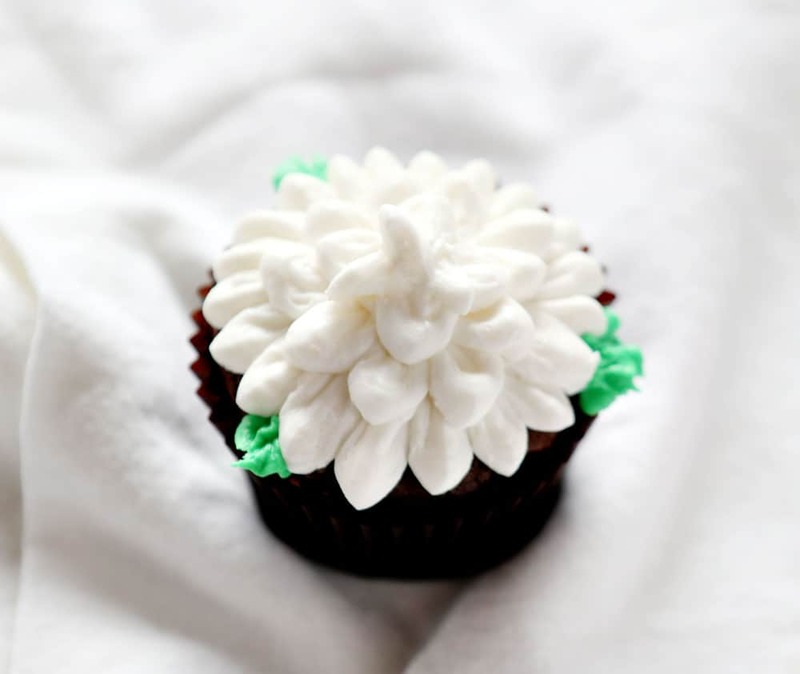 Using a piping bag fitted with the #104 tip, pipe spiraling ruffles around the cupcake starting at the outer edge. 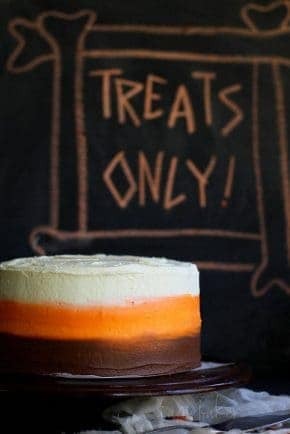 This is easiest if you are able to turn the cupcake in one hand while applying pressure to the piping bag with the other. 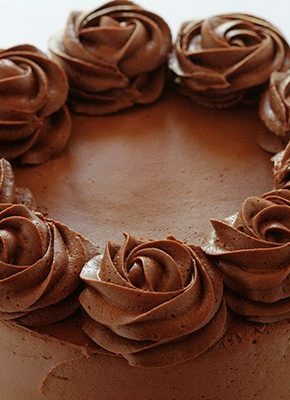 You can also use a rotating cake stand for this method, just be sure to place the cupcake in the very center. 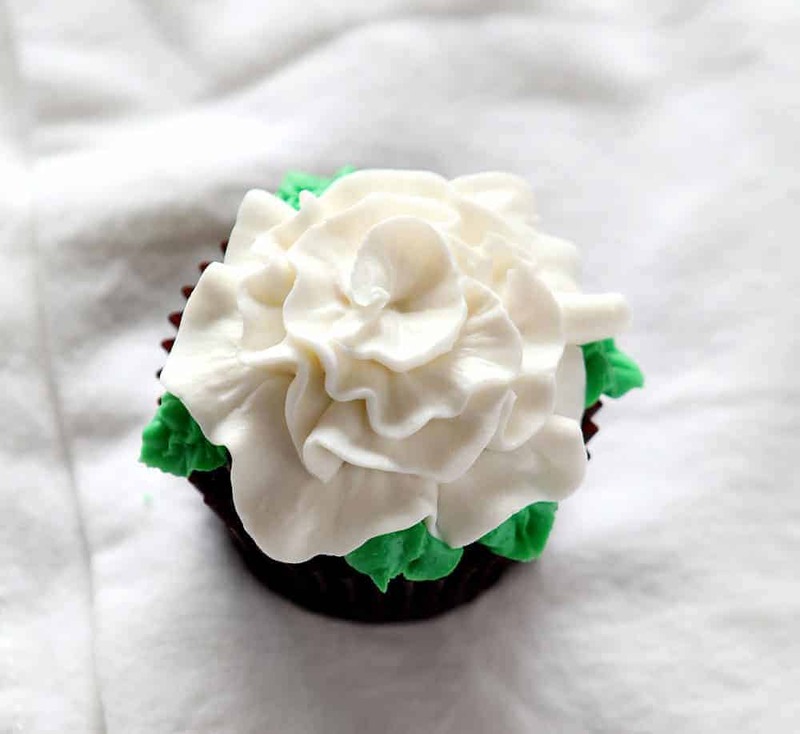 Using a piping bag fitted with the #104 tip, begin by placing a dollop in the center of the cupcake. Hold your bag so that the smallest part of the tip (the top of the teardrop) is facing up. Place tip at the base of the dollop, apply pressure and move the bag around the side of the dollop, about 1/3 of the way. Release pressure. I usually start with 3 petals around the center dollop for a nice tight center bud. Continue this same technique around and around, eventually making your swoops bigger and facing out and away from the center of the cupcake. Finish with some leaves and you have a perfect rose. Here is a video showing how I am a Giant Buttercream Rose. Using a piping bag fitted with the #104 tip, hold your tip with the large opening of the tip (upside down teardrop) is at a 90° angle. Apple gentle pressure and the drag tip down through the frosting. You will start at the outer edge of the cupcake and move around the entire cupcake. Then move in slightly from the edge and pipe another row. Add leaves for a decorative touch. 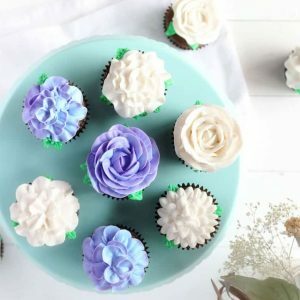 This technique also works well when decorating lilac cupcakes! 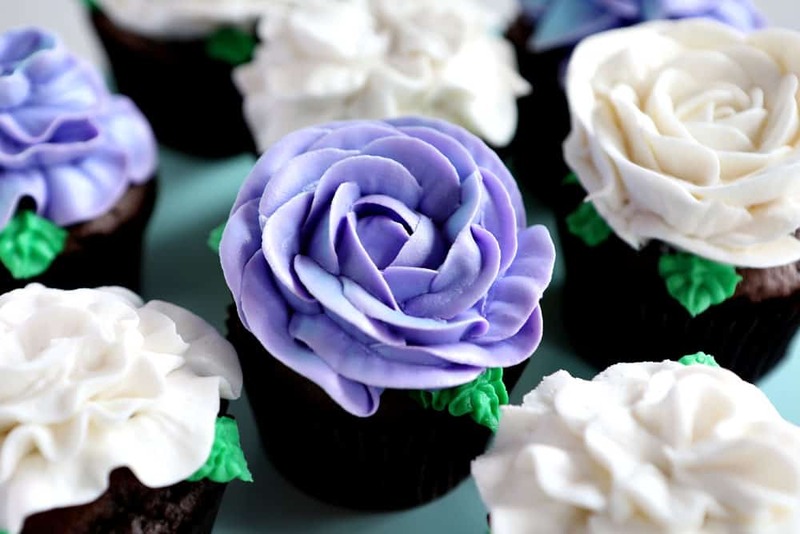 If I had to pick a favorite I might say this one, the purple rose with light blue accents. These piped roses often vary in look because they are so open to artistic impression. Each decorator will have their own special flair that comes across so beautifully in this design! Add pasteurized egg whites and confectioners sugar to stand mixer fitted with paddle attachment. Turn mixer on low, let ingredients come together. Then turn on high speed for 3-5 minutes, or until egg whites and sugar are fully incorporated. With mixer off, add in the extract and mix on low speed until just combined. Now start adding in butter, about 1/2 stick (4 tablespoons) at a time. After each addition, let the mixer run of medium-high speed until the butter is mostly incorporated. It can take about 3-4 minutes just to add in the butter. It is important to use PASTEURIZED eggs for this recipe. You can purchase pasteurized eggs in most grocery stores. 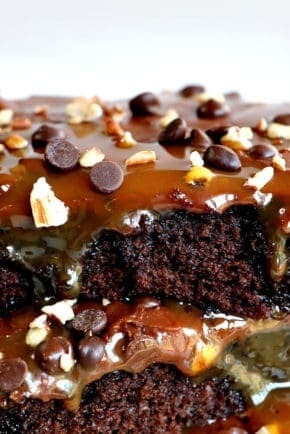 If you are unable to find pasteurized eggs, I would not attempt this recipe. A few things to talk about. 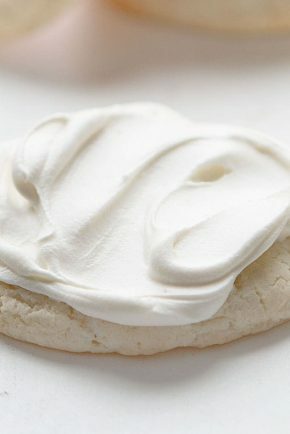 The original recipe calls for 2 full pounds of butter and 16 ounces of confectioners sugar. I decreased my version considerably… I only used 1 pound of butter and 8 ounces of confectioners sugar. I found that this amount of ingredients was perfect for my 5 quart KitchenAid and that it was plenty of frosting to cover 24 cupcakes. This is the simplest way I have heard this explained! thank you, I may actually be able to accomplish this! You make it looks so easy! I really enjoyed watching you decorate and am anxious to try it myself. Thanks so much for the tips! 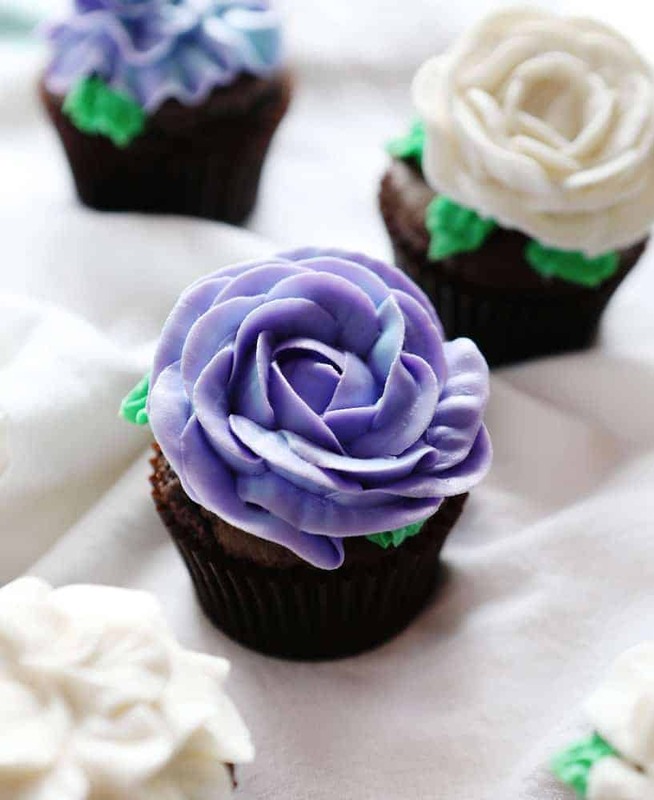 I love this cupcake icing decorating ideas. 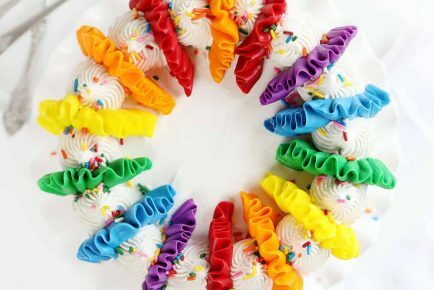 I love reading and watching your videos..it seems so easy to do particularly the decorating..when i tried it,it was so difficult.i have a complete set of decor icing tips but using it with a piping celophane is just not possible.